Caroline Finkel. Osman's dream: the story of the Ottoman Empire, 1300-1923. Basic Books. 2006年. ISBN 0465023967. Feroz Ahmad. The making of modern Turkey. Routledge. 1993年. ISBN 0415078369. James J. Reid. 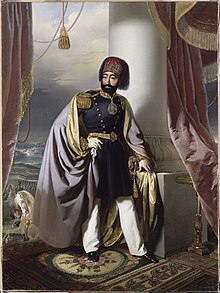 Crisis of the Ottoman Empire: prelude to collapse 1839-1878. Franz Steiner Verlag. 2000年. ISBN 3515076875. Jason Goodwin. The Janissary Tree. Penerbit Serambi. 2006年. ISBN 9790240279. Kate Fleet、Suraiya Faroqhi、Reşat Kasaba. The Cambridge History of Turkey: The later Ottoman Empire, 1603-1839. Cambridge University Press. 2006年. ISBN 0521620953. ^ 1.0 1.1 Douglas Scott Brookes. The Concubine, the Princess, and the Teacher: Voices from the Ottoman Harem. University of Texas Press. 2008年: 第283頁. ISBN 029271842X （英语）. ^ Bernard Lewis. The Encyclopaedia of Islam. Brill. 1960年: 第58頁. ISBN 9004081127 （英语）. ^ Elizabeth Wormeley Latimer. Russia and Turkey in the Nineteenth Century. BiblioBazaar, LLC. 2008年: 第68頁. ISBN 055952708X （英语）. ^ Lord Kinross, The Ottoman Centuries: The Rise and Fall of the Turkish Empire, Perennial, 1977, p. 437. ISBN 0688030939. ^ Lord Kinross. The Ottoman Centuries: The Rise and Fall of the Turkish Empire. Perennial. 1977年: 第437頁. ISBN 0688030939 （英语）. ^ Reeva S. Simon、Philip Mattar、Richard W. Bulliet. Encyclopedia of the modern Middle East. Macmillan Reference USA. 1996年: 第333頁. ISBN 0028970616 （英语）. ^ Fanny Davis. The Palace of Topkapi in Istanbul. Scribner. 1970年 （英语）. ^ John Obert Voll. Islam, continuity and change in the modern world. Westview Press. 1982年: 第125頁 （英语）. ^ Richard Clogg. A concise history of Greece. Cambridge University Press. 2002年: 第44頁. ISBN 0521004799 （英语）. ^ John S. Koliopoulos、Thanos M. Veremis. Greece: the modern sequel: from 1821 to the present. C. Hurst & Co. Publishers. 2004年: 第364頁. ISBN 185065462X （英语）. ^ John Spencer Trimingham、John O. Voll. The Sufi orders in Islam. Oxford University Press US. 1988年: 第81頁. ISBN 0195120582 （英语）. ^ Amos Perlmutter. Political roles and military rulers. Routledge. 1981年: 第174頁. ISBN 0714631221 （英语）. ^ Paul Ernest Klopsteg. Turkish Archery and the Composite Bow: A Review of an Old Chapter in the Chronicles of Archery and a Modern Interpretation. 1947年 （英语）. ^ Virginia H. Aksan. Ottoman Wars 1700-1870: An Empire Besieged. Longman/Pearson. 2007年: 第391頁. ISBN 0582308070 （英语）. ^ 15.0 15.1 15.2 Edward Shepherd Creasy. History of the Ottoman Turks: from the beginning of their empire to the present time. Richard Bentley and Son. 1877年: 第529頁 （英语）. ^ 16.0 16.1 James Porter、George Gerard de Hochepied Larpent. 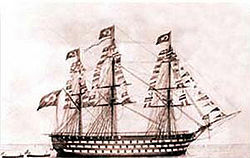 Turkey: Its History and Progress. Hurst & Blackett. 1854年: 第25頁 （英语）. ^ Alexander Clarence Flick. Modern world history, 1776-1926: a survey of the origins and development of contemporary civilization. A.A. Knopf. 1928年: 第374頁 （英语）. ^ Roderic H. Davison. Reform in the Ottoman Empire, 1856-1876. Princeton University Press. 1963年: 第257頁 （英语）. ^ Binnaz Toprak. Islam and political development in Turkey. BRILL. 1981年: 第60－61頁. ISBN 9004064710 （英语）. ^ Charles Fenno Hoffman、Lewis Gaylord Clark、Kinahan Cornwallis、Timothy Flint、John Holmes Agnew、Washington Irving. The Knickerbocker: or, New-York monthly magazine. 第38卷. 1851年: 第37頁 （英语）. ^ John L. Wright. The trans-Saharan slave trade. Routledge. 2007年: 第130頁. ISBN 0415380464 （英语）. ^ Lawrence Sondhaus. Naval warfare, 1815-1914. Routledge. 2001年: 第17頁. ISBN 0415214785 （英语）. ^ The Janissary Tree by Jason Goodwin. librarything. [2009-06-13] （英语）.